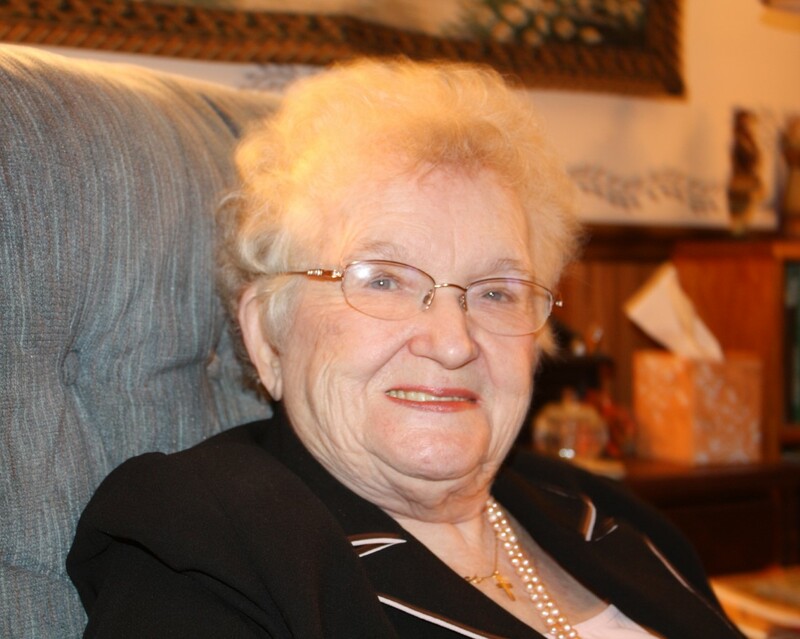 Elizabeth A. Karos, 95, of West Mifflin, died March 11, 2019. She is the daughter of the late Jovo and Anna (Relich) Karos. In addition to her parents, she was preceded in death by brothers John, Michael, George and Rudolph Karos and sisters Mildred Korach, Anna Wilhelm and Olga Karos. She is survived by numerous nieces and nephews. Elizabeth was a member of Holy Spirit Church. A funeral mass will be held Wed., March 13, 2019, 10:00 am at Holy Spirit Church. Interment following St. Sava's Cemetery, Castle Shannon. Funeral arrangements by Teichart-Gracan Funeral Home, Duquesne. Harriet M. George, of Bedford formerly of North Huntingdon, died March 5, 2019. She is survived by her loving husband of 37 years Bernard George; children Dale (Beth) Carnahan of North Huntingdon, Toni Shipers of Sutersville, and Chris Carnahan of Port Jefferson, NY; stepchildren Bernie (Julie) George Jr. and Lori (Erik Pettersen) Smith; grandchildren Ashley (Jeff) Downey, Brianna Carnahan, Haley Carnahan, Corey Carnahan, Dylan Carnahan, Michael George, Michelle (Ryan) Delgizzi, and Matthew George; great-grandchildren Emma and Grace Downey, and Finn and Kai Delgizzi; brothers Harry Worrall and Harold (Alexis) Worrall; sister Bertha Lithgow; and nephew Jeff (Tawsha) Worrall. Harriet loved to golf with her best friend Faye Stake. There will be no visitation; funeral arrangements by Teichart-Gracan Funeral Home, Duquesne. Carolyn Jean (Wiland) Mihaljevic, beloved wife of the late Joseph Edward Mihaljevic, went home to the Lord February 27, 2019. She was a resident of Fairport, New York, spent her winters in Jensen Beach, Florida and formerly a long-time resident of West Mifflin, Pennsylvania. Born May 4, 1933, she was the loving daughter of the late Dorothy Pearl (Morris) Wiland and Norman Russell Wiland and sister of the late Donald Wayne Wiland. Carolyn is survived by her loving children Joseph (Michele) Mihaljevic, Linda (Michael) Bogesdorfer, Kathy (Andy) Mosso, Richard (Lorrie) Mihaljevic, Thomas (Mary) Mihaljevic, and James (Elizabeth) Mihaljevic; also survived by 14 grandchildren, 8 great-grandchildren and nieces and nephews. Carolyn lived a full life as a wonderful, loving and devoted wife, mother, grandmother and great-grandmother. Her most prized possession was her family and loved travelling for visits, handing down cooking recipes and lessons to create a treasure chest of memories. In her spare time she loved to crochet, cook, travel, read and do puzzles. She was an active participant at the Perinton Senior Recreation Center exercise programs, crochet club and senior choir. Carolyn was a member of the Church of the Assumption Catholic Church in Fairport, NY where she participated in the Sunday breakfast club, and the card ministry - writing cards to those in need of words of encouragement. 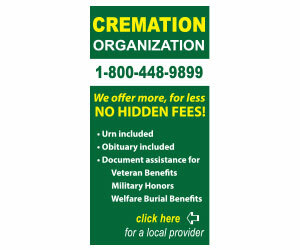 Friends received Teichart-Gracan Funeral Home, Duquesne, Sun., March 10, 2019 from 2 to 4 and 6 to 8. A funeral blessing will be held Mon., March 11, 2019 10:30 am in the funeral home with Father Tom Lewandowski. Interment following St. Joseph Cemetery. Patricia A. Holko, 78 of West Mifflin, died Jan. 30, 2019. She is the daughter of the late Joseph and Mary (Bellucci) Galenus and beloved wife of the late William M. Holko. Trish is survived by her son William (Kim) Holko; daughter Lisa (Russell) Stover; grandchildren Joey, Jennifer, Emily and Jess; great grandchildren Riley, Krystof and Ryan and was preceded in death by her brother Richard Galenus. Trish was a member of Christ the Light of the World Parish. 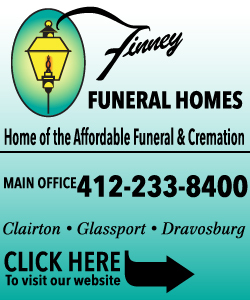 Friends received Teichart-Gracan Funeral Home, Duquesne, Sat. Feb. 9, 2019 from 1 to 3 pm. A funeral blessing will be held Sat. at 2:00 pm with Father Tom Lewandowsky. Helen M. Magdic, 82, long time resident of Duquesne/West Mifflin, passed away Sunday January 27, 2019 at Shady Side Hospital. She was the daughter of the late Sam and Lottie Rokich. Helen was preceded in death by her husband Thomas Magdic and her sisters Gladys George and Dorothy Bursac both of Barberton, Ohio . She is survived by her son Steven Magdic of North Huntingdon and sisters Mildred McVey and Yvonne Obradovich both of Barberton, Ohio. She was an active member of the Croatian Fraternal Union Lodge 320 Duquesne. “Teta” Helen will be sadly missed by all members of her Ohio family as well as her Magdic family nieces and nephews here in Pa. As per her wishes, services are private. Arrangements by Teichart-Gracan Funeral Home. Sophie S. Turoczy, 96 of Prescott AZ, formerly of Duquesne, died Dec. 31, 2018. She is the daughter of the late Vincent and Sarah Gricus and beloved wife of the late Eugene Turoczy. She is survived by her son Eugene (Lynette) Turoczy; daughter Karen (Thomas) Darragh; 4 grandchildren and 5 great grandchildren. Sophie was a former member of Christ the Light of the World Parish. Funeral arrangements by Teichart-Gracan Funeral Home, Duquesne. Thomas J. Fahey, of White Oak died January 3, 2019. He is the son of the late Joseph F. and Gertrude (Conley) Fahey. He is survived by his beloved wife Donna (Fogarty) Fahey, who loved him like crazy and son Michael Fahey who was devoted to him; brother Richard (the late Maureen) Fahey; sister-in-law Gail Waite; and many nieces and nephews. 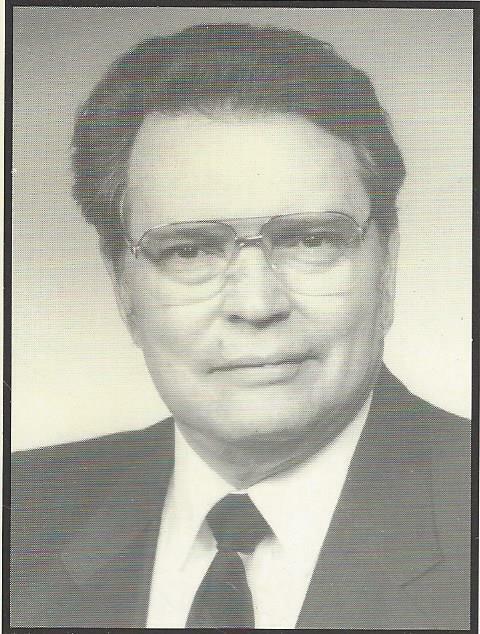 Tom as a retired Administrator for Mayview State Hospital. There will be no visitation. A mass of celebration will be held at a later date. Funeral arrangements by Teichart-Gracan Funeral Home Duquesne. In lieu of flowers memorial contributions may be made to Grey Paws, 2909 Jacks Run Rd. White Oak, PA 15131. Mary Jane Wiatrowski, 75 of West Mifflin, died Nov. 16, 2018. She is the daughter of the late William and Marie (Luptak) Ashbaugh. She is survived by her beloved husband Anthony "Sonny" Wiatrowski; daughters Diane (Robert) Speck and Laura (John) Waugaman; grandchildren Katelyn (Sean Angelo) Waugaman, Brianna Speck and Elizabeth Waugaman and great grandchildren Sophia and Logan Angelo. A memorial mass will be held Wed., Nov. 21, 2018, 10:00 am at St. Hedwig Church. Inurnment following St. Hedwig Cemetery. Funeral arrangements by Teichart-Gracan Funeral Home, Duquesne.